As surfaces patiently accumulate strata of individual interventions, they become silent witnesses of daily changes and material archives of consecutive inscription. Spaces can no longer be neatly separated between private solids and public fluids, as they form a third intermediary area which does not belong to either, and is produced at the intersection of the two. What is this cumulative surface object then, and who does it belong to? Am I liable in any way for tearing and removing a chunk of it from its supportive wall? And can LCR, Network Rail or Lambeth Council extend the measure of their ownership claim to include these painted strata? The property boundaries of Leake Street stop not only at the Tunnel exits, but also at its built edge, before the first layer of paint hits the brick surface. From there on, a surfacescape of distinctive ownership is formed, an area of plural production and communal entitlement. This is a visual and material territory that exists additionally to the prescriptive lawscape of the Tunnel, and is visible in Leake Street more than elsewhere due to the particularly intensive painting in the Tunnel. I have argued that this surface commons can potentially exist on all publicly accessible vertical territories, but it is rare that one can identify and detach it as a distinctive object. 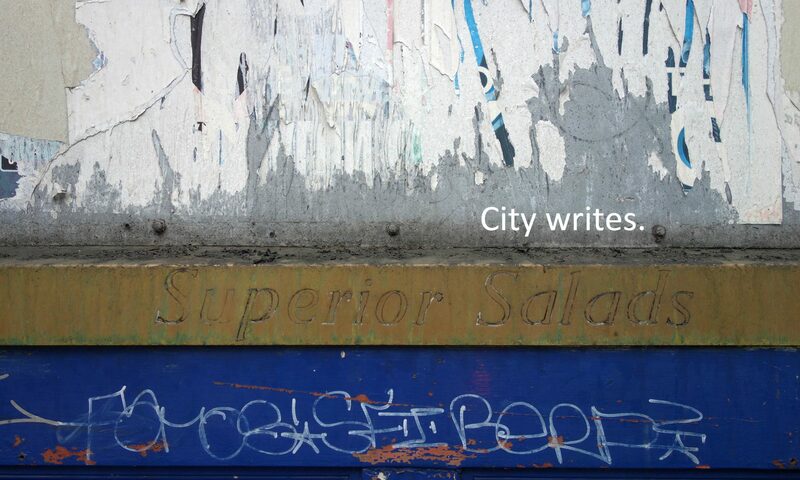 Thanks to the remarkable vitality of Leake Street writing, this space has now produced irrefutable material evidence for a claim that might have otherwise seemed too abstract – and no commercialisation, regeneration or artification project can undo this significant gain.